Does anyone at your house sew? My friend Kerry had a coat he was trying to avoid throwing away. Kerry and I had both been scout leaders. We’d spent many weekends camping and hiking in Utah’s mountains with 12 and 13 year old boy scouts. The coat he was trying to give away was a gorTex NorthFace winter coat. It was a great three-season coat for Utah’s climate, Fall through Spring. Tough as it was, it had become torn during a snowmobile trip. No one at Kerry’s house did much with sewing. Sure, I’d love to take it off your hands. I’m sure that we can fix it. My lovely wife is a brilliant seamstress. Thirty years ago she sewed her own wedding dress. And while she doesn’t make our kids’ clothes, she has plenty of opportunity to use her two sewing machines and serger to make Halloween costumes, alter dresses and repair ripped articles. I was sure she could fix it. 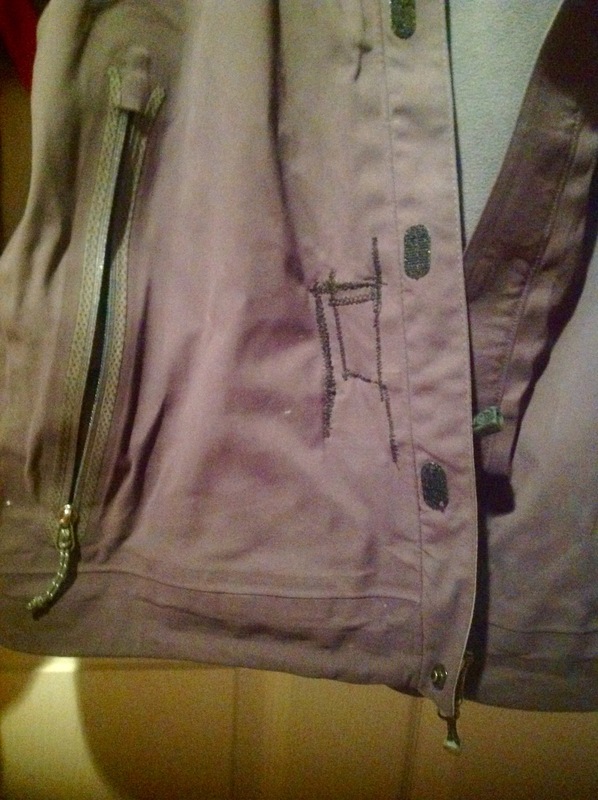 Kerry brought over the coat and the hole was in the right front pocket. It was an aggressive hole, but to my untrained eye seemed very fixable. The coat then sat in the mending pile. . .and sat. . .and sat. Finally I decided to take matters into my own hands. I got a needle, some black thread and I sat down to repair the coat. My wife smiled a bemused smile. So, you’re going to fix it? I was using a baseball stitch, where I sewed down through one side, brought the needle up the gap in between and then went down the other side and pulled the two sides together. It was NOT the right stitch. And even if it was, I wasn’t very good at it. I spent about an hour and had only managed to close about a quarter of the gap. Eventually, my lovely wife took pity on me and took the coat away from me. She placed it on the sewing machine and in about 10 minutes had sealed the rip in a way that was both effective and stylish. It still looked like it had been repaired, but only if you looked closely. My lovely wife provided a very effective training example. She could have done the work herself from the beginning and she was probably planning to when she had time. But, by letting me attempt it myself, she both reinforced my belief that she had an amazing skill that I didn’t, but she gave me the opportunity to expand my skills. We work with people like this all the time. Your employees want to learn and grow. If you only provide them opportunity and training for a narrow focus, they are not going to be as effective or as happy. It’s important to give them opportunities to take on additional tasks. Sometimes they will surprise you with their success. Other times, it will be obvious that they need additional training, or that they may be pursuing a task that is not a good fit. Nothing was harmed by the hour I spent poking a needle through the front of that jacket. But, a lot was learned. If you are looking to expand your employees skill set and opportunities, a few sewing classes might be a good investment too.